Chinese PC maker Lenovo accounted for 15.7pc of PC shipments in the third quarter, according to research firm Gartner, compared with 15.5pc for HP. The Californian company has led the rankings for the last six years. 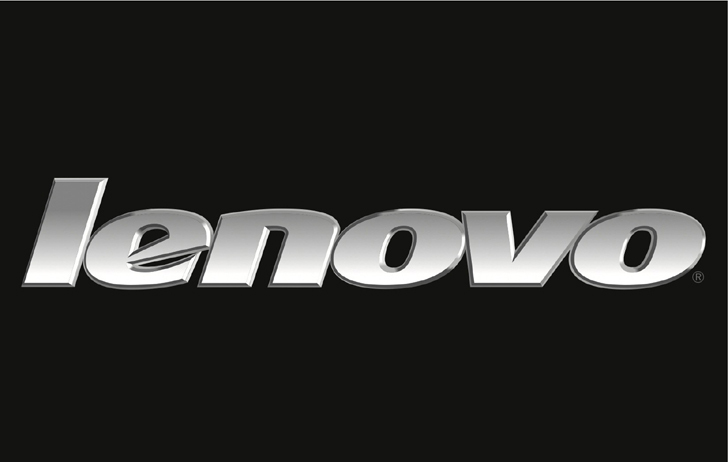 Gartner said Lenovo shipped 13.8 million units in the third quarter, compared with HP’s 13.55 million. It said Lenovo’s “aggressive” price cuts had helped it gain substantial market share. According to Gartner, Lenovo was the only PC maker, among the world’s top five, that increased its shipments to the US during the third quarter. HP is currently restructuring its device business, including PCs, tablets and printers. HP’s main concern is achieving a good balance between market share gain and margin protection. Dell was the No. 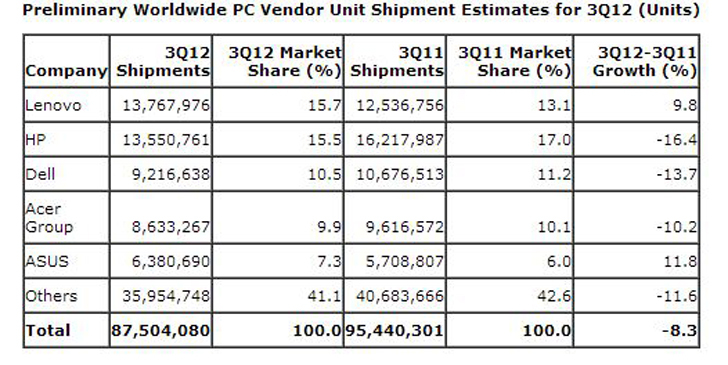 3 vendor in PC shipments worldwide in the third quarter of 2012. While Dell suffered a steeper shipment decline than the worldwide average, it was less impacted by the upcoming release of Windows 8 because of its strong focus in the professional market. Dell continues to gradually transform itself from a PC/device supplier to a solution provider. In the U.S., PC shipments totaled 15.3 million units in the third quarter of 2012, a 13.8 percent decline compared with the same period last year. However, research firm IDC‘s data put HP at the top, though it showed the gap between the two was closing. According to IDC, HP shipped 13.9 million units, giving it a 15.9% share of the global market, compared with Lenovo which enjoyed a 15.7% share with 13.8 million units. Analysts said that Lenovo has been among the best performing PC makers in recent times and was likely to gain further market share. “Just the momentum that Lenovo has had, makes it inevitable that it will be the world’s number one PC maker across all charts,” Andrew Milroy of Frost & Sullivan told the BBC. Additional reporting from The Daily Star and BBC News.